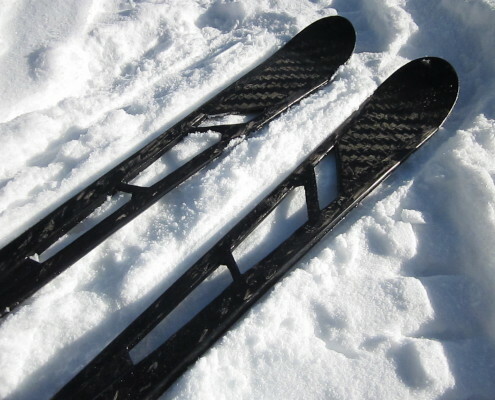 The skis are designed on forces involved during skiing and they are inspired by nature, precisely to swallows. They are also reduce to essential to be lighter and faster. The main study is about the energy involved into the ski during a turn. 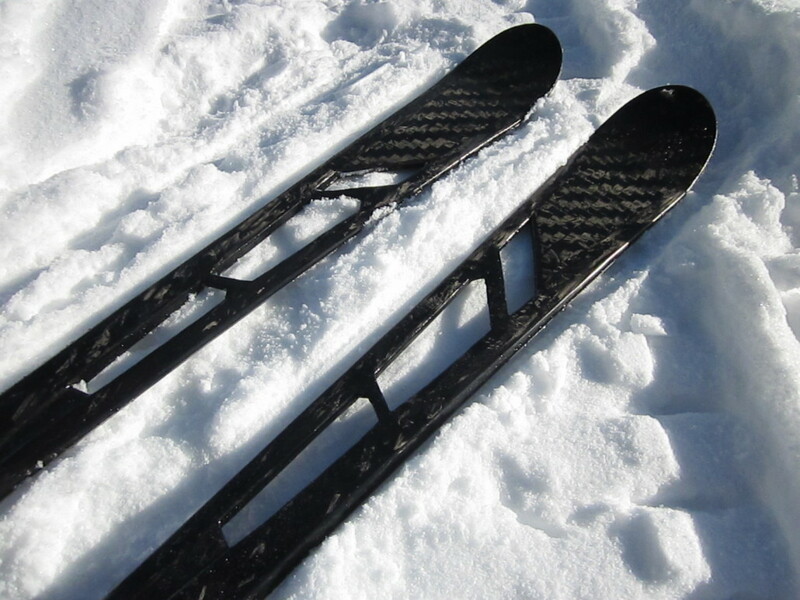 This force isn’t equal for both the skis and it isn’t also symmetrical into the same ski. The materials are an obvious choice to give them flexibility, lightweight and an interesting texturized surface. Every material involved to built them are light, stiff and selected for them matt finish. 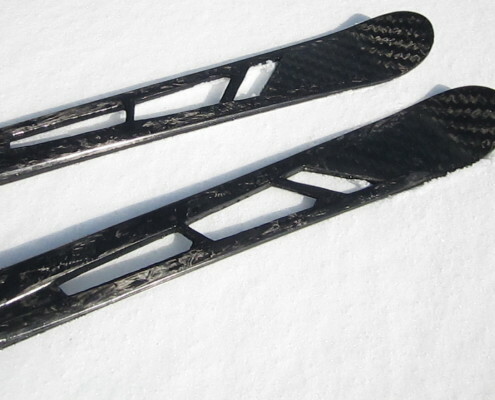 Carbon fiber is synonymous of technology and it is involved thanks to its fast building process, for its mechanical properties and for ready surface after moulding. Titanium is used because it is water resistant and 45% lighter than stainless steel. The finiture is a mix of composite materials. It’s a test to research the resistance of anisotropic carbon fiber + epoxy. The result is a material with good properties but it is considerably more fragile than every composite fabric. A 12K Batavia fabric has been used for visible details.